Fully loaded bike. The panniers have more than enough room for credit card touring. After trying a few brands and models we have finally settled on bikes. From what we’ve read there are a few gravel and dirt roads on our route that would wreak havoc on a road bike, but we’re doing too much distance for a city cruiser. So, we have settled on hybrids. Casey went with the Specialized Vita Elite. I picked up the Specialized Sirrus Elite. -Bar ends. We went with these. They allow you to change hand positions during the ride; it reduces hand fatigue and numbness. -Cycling gloves. I was skeptical at first, but gloves really save your hands from numbness. If you’re traveling in colder weather, buy full fingered gloves. -Bells. A requirement for all bikes in Europe. -Bike Lock. Make sure you buy a chain and an actual lock. -Rain Coat. The Marmot jacket worked great. Depending on the time of year, you may need something warmer. If it had been cooler, we definitely would have needed rain pants and shoe covers too. panniers off the bike. They go on and off easily! 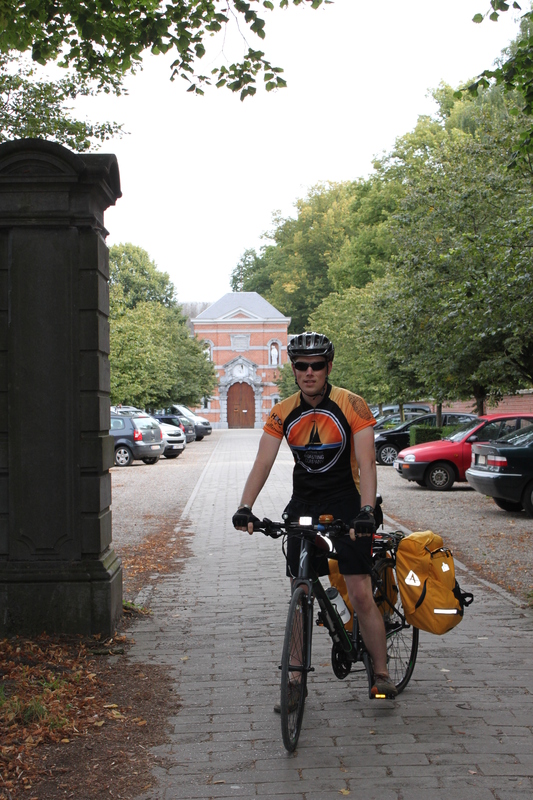 Next La Tour de Trappe Day 1 – to Westmalle!